2008 North American International Auto Show | OhGizmo! As one trade show draws to a close, another one is just beginning. 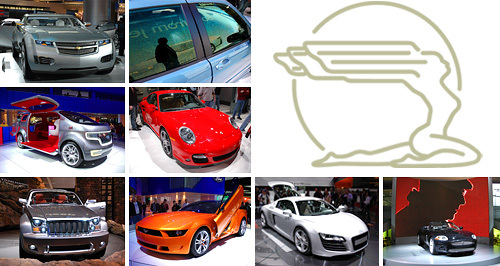 Tomorrow morning I’ll be flying out to attend the 2008 North American International Auto Show in Detroit. If you remember way back in September, General Motors had invited David to come and check out the company’s 2008 lineup at their Milford Proving Grounds, and this time they’ve invited me to check out their new stuff at the NAIAS. While companies who exhibit at shows like CES have embraced bloggers and online-only publications, other industries have not been as welcoming. So I’m glad to see a large company like GM going out of their way to accommodate this relatively new media. (I’ll have more commentary on this later.) And while OhGizmo! is by no way an automotive website, today’s vehicles are no longer just cars. Navigation technologies, sound systems and even multimedia setups have made them just as appealing to the gadget-obsessed, as they are to the gearheads. So I’ll do my best to post my experiences over the next few days as time and sleep levels permit. As part of the trip, GM has also asked me to disclose that they are covering my airfare and accommodations, however I’m in no way required or expected to write about my experiences. But as part of OhGizmo! policy, we would have disclosed this information anyways, and I would feel guilty if I didn’t share the experience with all our loyal readers. Oooh, you’ll have to post on the new Dodge Challenger. I’m pretty sure they’re going to show them, and they’ve announced pre-orders. I’m actually going to a dealer today to order one, they expect them in March-ish.